Scream Pong is an interactive video game inspired by the classic PONG of the 70s. Launched in 1972 by Atari Inc. This classic is considered the most important of the first generation video games and its great success was the cornerstone of the gaming industry and a great influence on popular culture. The simple logic of the game and its rules are a big part of the success of this. 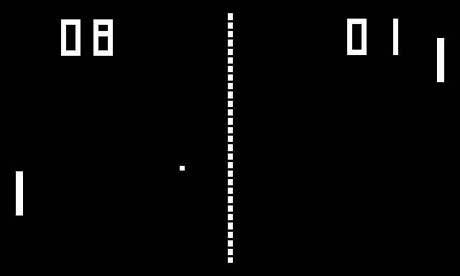 This has allowed an evolution over the years and, to this day, platforms such as PlayStation and Xbox have versions of the Pong. The importance and influence of Pong are why an interactive version of this famous classic has been created in which we take the experience to a new level. 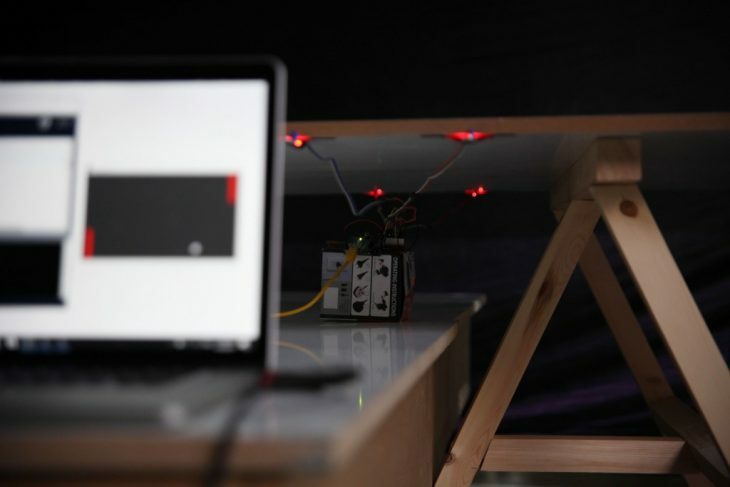 It integrates the dynamics of the game along with the possibility of using sound sensors to detect sound-based commands through the Arduino platform. These results, in turn, are interpreted by processing through a comparison of the volume quantity of one of the sensors (a) with that of the sensor (b) which in turn causes the displacement of the bar on the board of the game. The rules of Scream Pong are simple. By comparing the data extracted from the sound sensors, it is possible to control the bar on each side both in the X direction and in the size of the same. 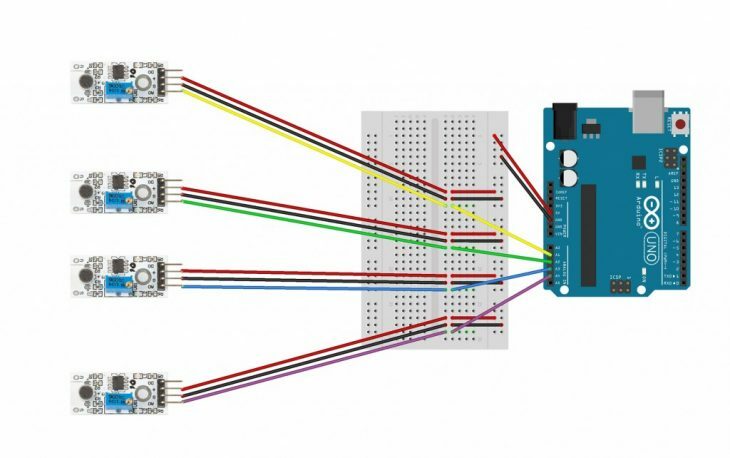 This allows having a new dimension of interactivity. In addition, the game is presented in a human scale scenario where players must move from one side to the other and shout with the purpose of moving the bar in the desired direction. As for the visual part of the project, a series of codes was created in Processing imitating the graphic essence of the classic of the 70s that is projected on the ground. 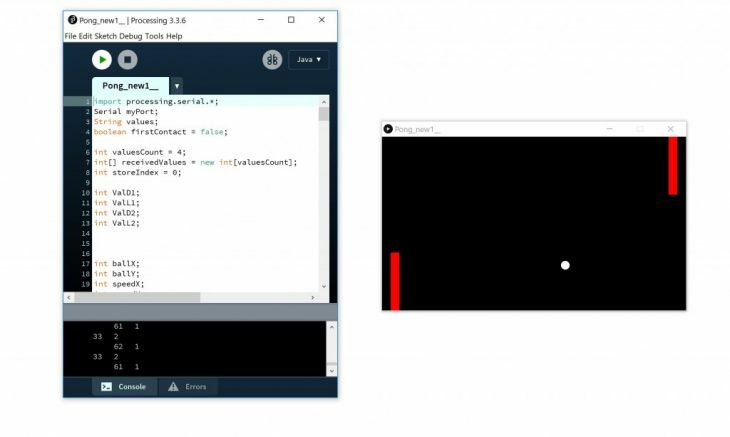 Scream Pong is developed and after tests of the game and its playability, we can say that the inclusion of movement along with the sound and the increase of the scale has taken this class to a new level.